The world of dietary supplements is a confusing one. Every day we are told by numerous companies that they have THE perfect supplement for all our health needs. It is unsurprising that now many are tuning out. In our role as optometrists we focus on the scientific research so we can provide the best independent advice when it comes to supplements and eye health. We have long promoted the benefits of omega-3 for the eyes and in light of numerous studies we believe that the evidence is firmly there to support this. It is especially recommended to those suffering from dry eyes and blepharitis (inflammation of the eyelids). Some studies also suggest essential fatty acids may help protect against macular degeneration. In addition, it is suggested that these fatty acids may help decrease the risk of glaucoma and high eye pressure as they assist in allowing fluid to drain from the eye. In addition, omega-3 has many other reported health benefits for the heart, brain and joints. Omega-3 is found naturally in fish such as salmon, mackerel and sardines as well as flaxseeds, walnuts and dark leafy vegetables. 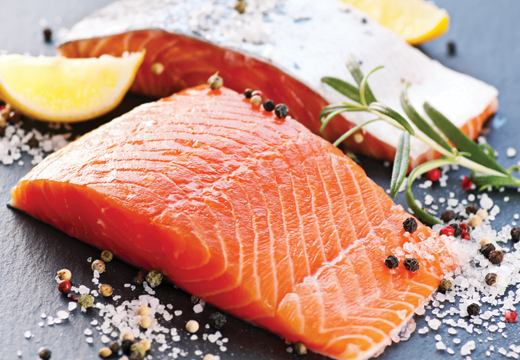 The NHS recommends eating at least two portions of fish a week to get a good source of omega-3. However, for those who want to guarantee they are getting enough of these valuable fatty acids on a daily basis, you may consider a dietary supplement. We have spent time researching and sampling omega-3 supplements and are now supplying what we believe to be the best formulation of omega-3 on the market that has been created with your eye health in mind. Please ask us about supplements to support healthy eyes when you are next in the practice.